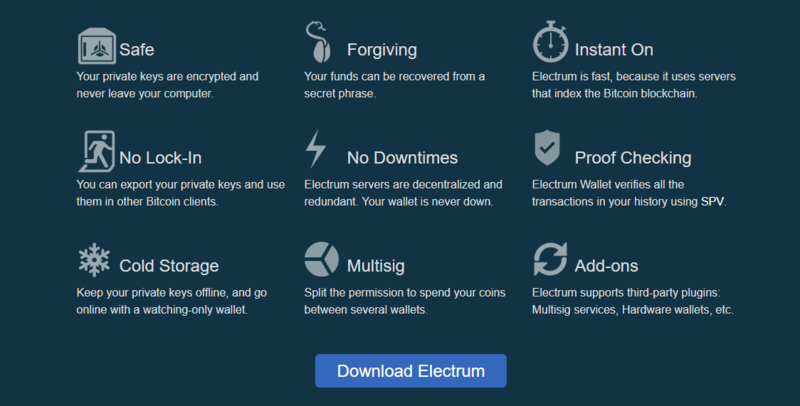 ﻿ Electrum Review | What do you need to know about this wallet? When looking for a way to store your cryptocurrencies, security and reliability should be the main things you focus on. In these two categories, Electrum ranks at the very top. This desktop wallet has been around since November 2011, which means that it has gone through many upgrades, each making the wallet a little bit better. That’s why today this is widely considered to be one of the best choices in the world in this category, and we are about to show you what all these upgrades have resulted in. This Electrum review will bring new traders closer to a golden standard in the business and remind more experienced people what they’re missing out on if they’re not using it. Let’s get going! Electrum is a lightweight bitcoin wallet, so don’t hope for too much diversity in terms of coins you can use here. The biggest virtual currency in the world is all you get. While the selection of supported cryptocurrencies is certainly not among this wallet’s greatest strengths, there are some advantages to this approach, too. Most notably, you can always count on quick and reliable execution of all transactions. Another big advantage of the Electrum wallet is the fact that it works perfectly with the most popular hardware wallets on the market. Therefore, don’t be afraid to combine your Trezor, Ledger Nano S or even KeepKey with it for ultimate results. Furthermore, since this is a desktop wallet, it is important to note that it works perfectly not just on Windows, Linux and Mac computers, but also on Android mobile devices. It is also a great solution if you’re looking for a reliable cold storage method because it uses computers which are not connected to the internet to create keys. The offline computer is where transactions are signed, which increases the security level quite a lot. 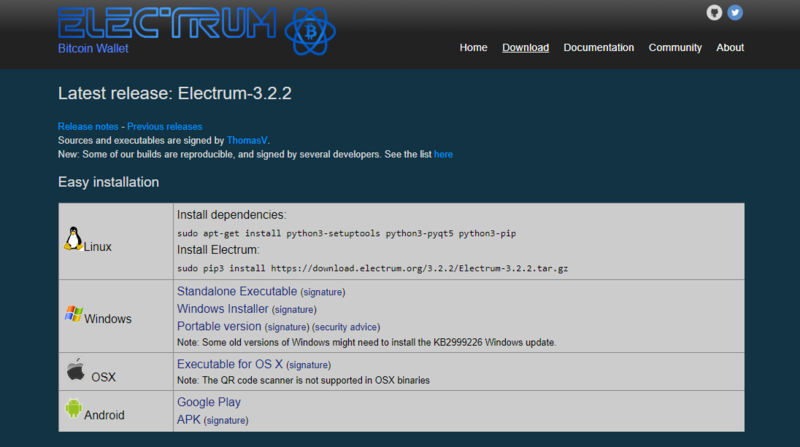 This is just the beginning, though, so we will now move on with our Electrum review to see what else you can expect. Stay tuned! To give you an idea of how popular this wallet is, we will say that approximately every tenth bitcoin transaction takes place via Electrum. No matter where you look, however, you will find nothing but praise for this product. That’s why everything has to be absolutely safe – a huge number of people relies on this wallet every day and the reputation it has acquired over the years has to be maintained. Fortunately, Electrum is more than up to the task. First of all, it is one the few wallets to support Tor, which makes it a lot easier to remain anonymous if you wish to do so. As a matter of fact, if you’re using Tails (an operating system based on Linux) your traffic will be automatically routed through this network. In addition to that, Electrum bitcoin wallet uses multi-signatures and your private keys will never be exposed to the dangers of internet. They will always be kept safe on your computer. But the most important security feature is the fact that the seed here has been given a lot of attention. This is how you generate your private keys and recover your password if you ever lose it, so it’s great to see that people behind this wallet have given it so much thought. Of course, we will once again mention that this product is fully compatible with the best hardware wallets too, which also adds a layer of security around it. 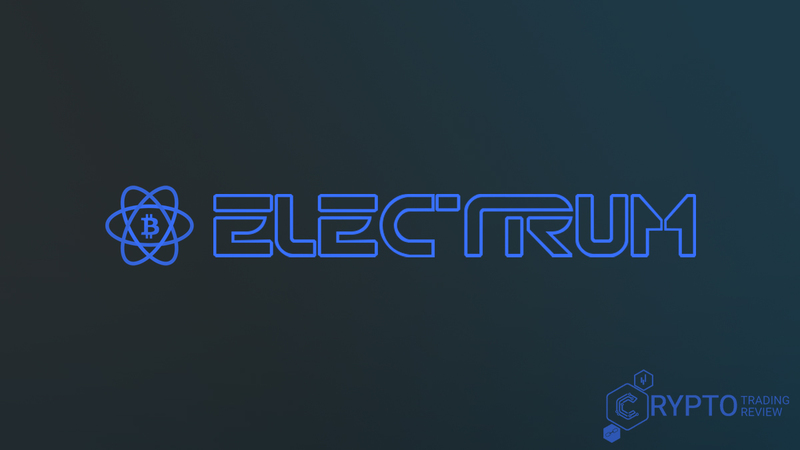 By now you’re probably wondering how you can get this lovely thing – don’t worry; the answer is just below, in the next part of our Electrum review. If you want to get your hands on your Electrum bitcoin wallet, all you have to do is go to electrum.org and download it. Just click on the “Download” link at the top of the website and you will be able to choose the version that suits you best. What is quite interesting to note here is that there are also some Python sources you can pick, so those of you who are better versed technically can approach things that way. Actually, the wallet’s Python code is surprisingly simple, so if you think you can improve it, you can – the code is open-source and all you need to start contributing to the development is a GitHub account. But don’t worry if you’re no programming expert because the installation process is very simple, even if you want to integrate it with hardware wallets. In just a minute or two, you’ll be all set. Everything is completely free, of course, but keep in mind there will be an Electrum fee to pay every time you’re sending your bitcoins. It is usually set to 0.0002 BTC, but it can vary, so make sure you check everything out when sending your coins. The fee will always be included in the total amount of what you’re sending. Be warned, there are some Electrum clones out there. We reiterate once again that the original Electrum is a bitcoin wallet only. These clones will offer to transfer your Litecoin, Bitcoin Cash, Dash etc, but the real thing won’t process anything except bitcoins. Once you set everything up, it’s time to start sending and receiving your cryptocurrency. We’ll show you how to use Electrum wallet in the next paragraph, so stick around some more. We already said this wallet was quick, but is it simple to use? Well, we believe it is, but some people disagree with us on that. Here’s why. Once you start Electrum wallet up, you will see that the interface is somewhat… well, Spartan. No, we’re not saying that there’s anything wrong with it, just that it’s kept simple. At the top of the screen, you will find a bunch of tabs including Send, Receive, History, Contacts, Console and Addresses. If you click on the Send tab, for example, you will see exactly how simple things get here – you have your “Pay to” field, your “Description” field and the field in which you input the amount you want to send. And that’s it. We should mention here that the amount is expressed in mBTC, i.e. milibitcoins or 0.001 BTC. Remember that you will be asked to type in your password when sending funds. The thing some people complain about is the fact that there are no detailed instructions or something that would explain what each button or tab means and does. Because of that, there is a concern that people who are beginners in this field won’t be able to find their way around and won’t be able to use the wallet properly. That’s where we disagree. We don’t see anything too complicated here, and if you don’t know what something does you can easily find explanations elsewhere or simply figure everything out on your own. We had absolutely no problems using Electrum bitcoin wallet, so we honestly believe you won’t have any, either. And that’s pretty much the end of our Electrum review. This desktop wallet is considered to be one of the very best in the world, which is a sentiment we certainly agree with. The only drawback it has is the fact that it only supports bitcoin, but this was a deliberate choice by the developer because this way all transactions remain fast. You have nothing to worry about when it comes to security here because you can integrate Electrum with hardware wallets, plus you also have a very secure seed with which you can always restore your account. Acquiring one of these is really simple because all you have to do is go to the wallet’s website and download it for free. All major operating systems are supported, and there is even a version for Android devices if you need to transfer bitcoins on the go. The interface is quite simple and straightforward, so if you have any experience with the cryptocurrency market at all, using this should be a breeze. All in all, it’s no wonder Electrum bitcoin wallet is used in about 10% of all bitcoin transactions. Honestly, if you want a reliable and secure desktop wallet, you simply cannot go wrong with this one. But if you want to see what else there is for you on the market, just take a look around this website. We have more articles just like this one written with the sole purpose of helping you make the right choice. Enjoy!